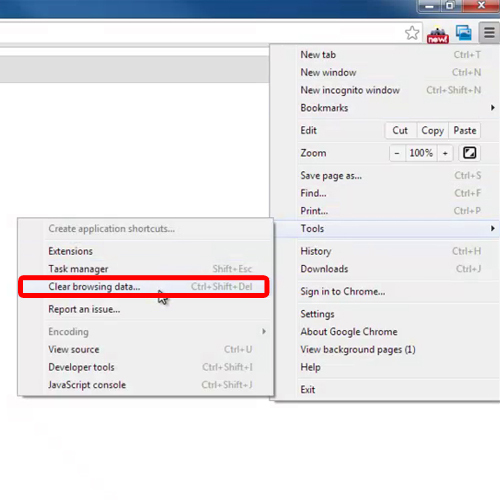 In this tutorial, we will teach you how to clear cache in chrome. By clearing out the cache of your browser you can free up the space which is otherwise being utilized. Second of all, clearing out the browsers cache is important for removing all traces of your online activity. By clearing out your browsers cache, the digital footprints, also known as cookies, are deleted permanently. 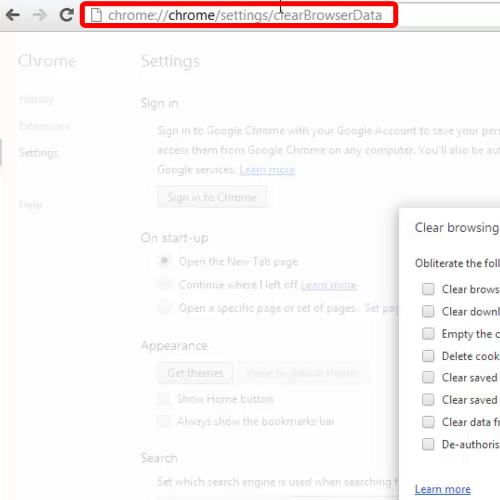 To clear the cache in chrome, you need to access the clear browsing data window. This can be done in many ways. First of all, open up the options menu, which is located on the menu bar towards the right side of the browser. Once the menu appears, move over to tools and click on the Clear browsing data option. An alternative way of accessing the clear browsing data window is by pressing the CTRL+SHIFT+DELETE shortcut key on the keyboard. 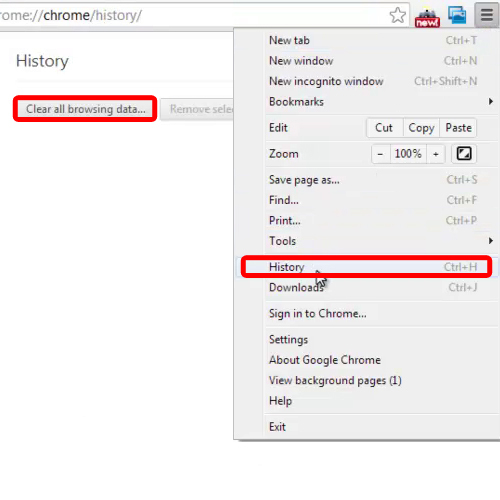 This Clear Browsing Data window can also be accessed by first going to the history page. You can do that by going to the options menu and clicking on the history option. Alternatively, you can simply press the CTRL+H key on the keyboard to open up the history window. Once the page opens, simply click on the clear browsing history button. A third way is by going to the address bar on the top and typing the URL for the clear browsing data window. Copy the following URL, paste it in Google Chrome and hit enter. The clear browsing data window will automatically open. 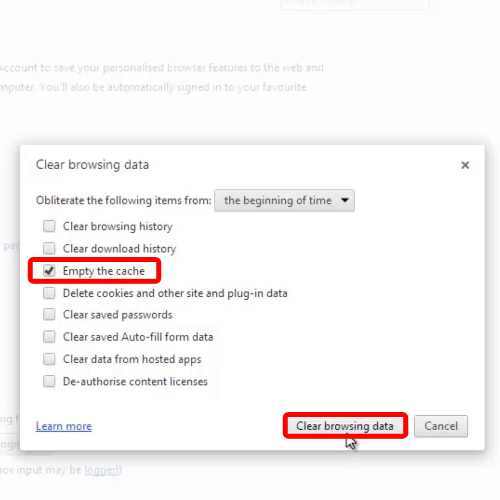 Once you have accessed the clear browsing data window, tick on the checkbox next to the “Empty the cache” option and click on the clear browsing data button. Once the processing is completed, your browser’s cache will be cleared.